Earth Angels are evolved spiritual beings who have chosen to incarnate into physical embodiment to be of service to humanity and Mother Earth. When they incarnate into the physical, they are highly sensitive empaths so that they can carry out their Divine purpose. At times, they can find it very difficult to cope on this planet as they cannot tolerate violence, anger, injustice, inequality or anything which they perceive as negative as this can upset them very deeply at heart and soul level. As empaths, Earth Angels can feel everybody’s emotions and pain and the pain of the planet, therefore it is important that they have a daily routine to look after their energies and that they regularly take time away from others and time out of an overstimulated world. Spending time in solitude to recharge and rebalance their energies. They are best to avoid or limit their exposure to the news and media and surround themselves, as much as possible, with loving, kind, caring, gentle people and situations. It is also important for Earth Angels to connect with Mother Nature regularly, preferably daily, to help them feel grounded within their earthly body and to help them balance out their energies as energies levels can greatly fluctuate in everyday life. Connecting with nature can also help alleviate stress and anxiety (which can be their own or what they have absorbed from others), thus promoting peace and calm; helping them to keep in balance and harmony. Nature can also be a great energiser and unleash and enhance creativity. Its also liberating as the Earth Angel can escape from everyday life and just ‘be’ without having to give out energy to others whether that be consciously or unconsciously. Earth Angels have come to earth for a higher purpose and they can sometimes feel like they don’t belong and feel overwhelmed by all the problems in the world, as they have an inherent need to ‘save the planet’ and make a difference in this world. It is important that Earth Angels do not become martyrs for a cause – knowing when to ‘step in’ and assist and when to ‘step out’ so that others may continue their journeys and learning. It is also very important not to stay in lower vibrational relationships – it is not their job to ‘save’ others. It really does help when they re-awaken to who they are and re-establish their connection with the Angelic Realms so they know they are loved and supported unconditionally always (Angelic Jeanette facilitates Angelic Reiki Training in the UK, Europe, America and Worldwide, which is highly beneficial for Earth Angels – checkout on this website under Courses and Workshops – groups are small and you will be lovingly supported throughout your training and beyond). 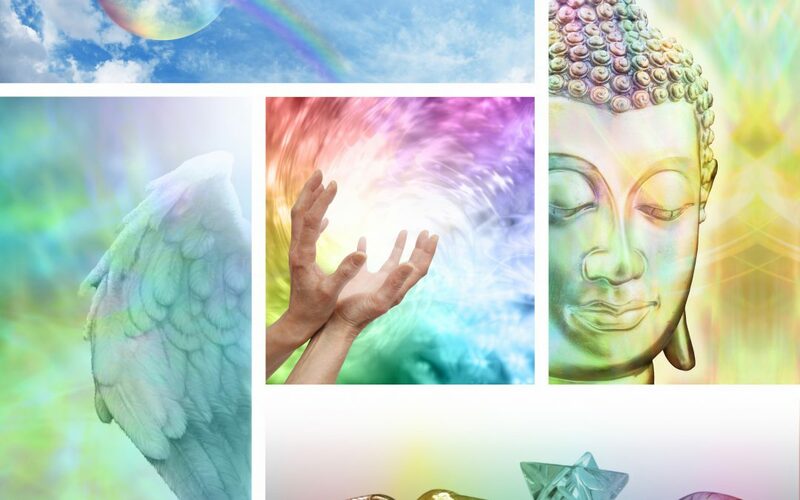 Earth Angels feel a deep connection with other humans, animals and Mother Earth and may have a strong desire to do something in the field of humanitarianism. They may find themselves in roles and professions such as a social worker, counsellor, teacher, carer, holistic therapist, healer etc. They have a deep sense of what is right and wrong and will fight for justice and equality. They do not resonate with authoritarianism and being told what to do. They will not follow old outdated structures and prefer to create their own way of living and working. Earth Angels energy systems can be very refined and therefore careful attention should be paid to diet and environment. Plenty of good, clean, filtered (preferably crystal) water, omega oils, correct nutrition. Mother Earth food; its best to grow your own in your garden or window pots if possible, alternatively try and buy organic food and drinks. Root vegetables are great for grounding high vibrational beings, i.e. potatoes, carrots, turnip, beetroot etc. You may have an intolerance to many foods/food groups, drinks, artifical additives, chemicals, environmental pollutants etc. There is too much guidance to be given on this subject in a blog but just keep it as natural as possible, organic and avoid processed and refined foods and drinks and cut down on sugar, caffeine, alcohol, wheat, dairy etc. Crystals are powerful and highly benefical to help us to look after our energies (if you need some help with which crystals to wear or use, contact Angelic Jeanette and she will create you a bespoke piece of crystal jewellery infused with channelled healing/clearing activations especially for you, or as a gift for another, or for your home – contact her via e-mail or complete the form on the homepage of this website). Be mindful of what you are putting into your body – the sacred temple of your soul, and on your body – again organic beauty products are best. Be careful with alcohol as one drink can be like having a whole bottle of wine due to your high vibration and sensitivity. Be mindful re the chemicals and additives in drugs; prescription and recreational. Earth Angels feel more deeply than others and therefore prefer to make their decisions based on emotions and intuition. They prefer the left brain way of living and working – intuition, creativity etc rather than a right brain logical, structured approach. They connect deeply with art, music, dance, the sharing of stories and connecting with others in deep and meaningful ways. Its important for Earth Angels to trust self and the inner voice and follow their intuition to guide them in their life. Also important to give self time to express their creativity. ‘THE EARTH ANGELS GUIDE TO LIVING IN LOVE, PEACE & JOY’ – Includes channelled information on how to Cleanse, Ground and Protect your energies, positive affirmations for a positive, happy and healthy life and much more. EMail me to purchase – a small energy exchange of £3.33 is requested for this gift of love – sent to you via email. The above are Angelic Jeanette’s thoughts, feelings and channellings shared with love. She is not a medical professional and therefore leaves it to your own freewill and wise counsel as to whether you wish to choose to follow any of her channellings.